Novelty! Bright, tasty and natural! 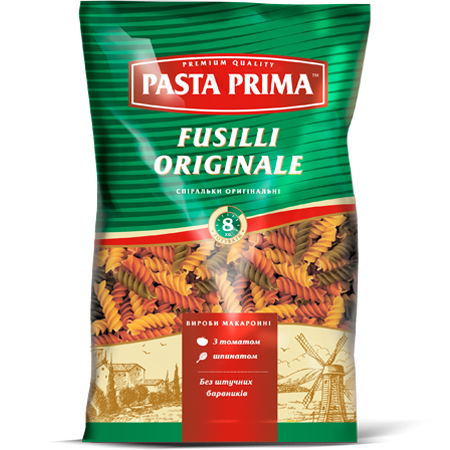 Colored vegetable pasta by Pasta Prima - Fussili Originale 700 g - with the addition of natural tomatoes and spinach will make your favorite dish beautiful and tasty. Ideal for cooking of classic Italian salads.